← The Greatest Airliner of All Time? If there was a passenger train service that epitomized the ultimate in luxury, it can be argued that Santa Fe’s “Super Chief” achieved that level. Its reputation was that of excellence, offering meals by Fred Harvey in an elegant presentation, superior sleeping accommodations and a “Pleasure Dome” lounge car according brilliant vistas along the way. 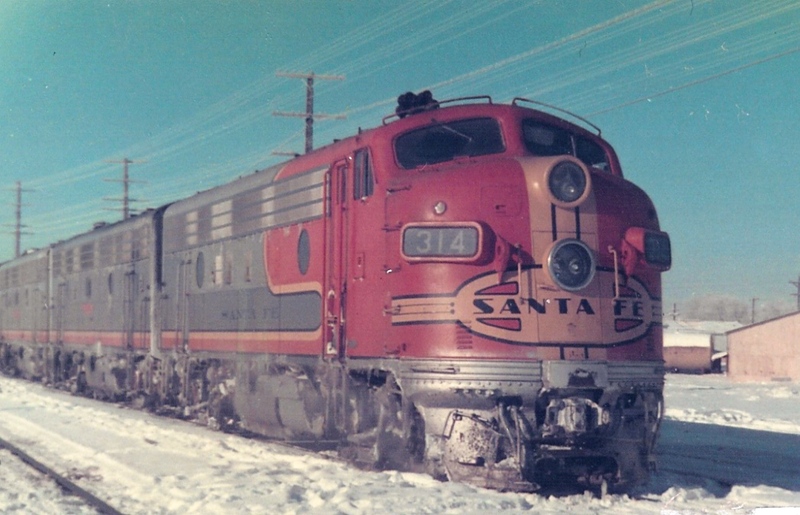 Even as the quality of passenger rail service declined in the late 1960’s, Santa Fe insisted on maintaining its superior level of service to the end. 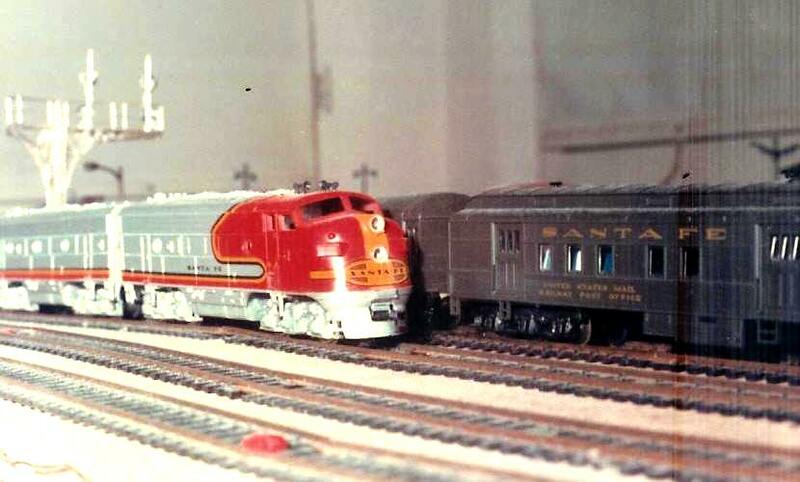 In fact, when Amtrak took over operations of the route, Santa Fe withheld the right to use the name “Super Chief” by Amtrak for fear that the new service would not meet the standards of the Super. The service now operated by Amtrak goes under the name “Southwest Chief”. 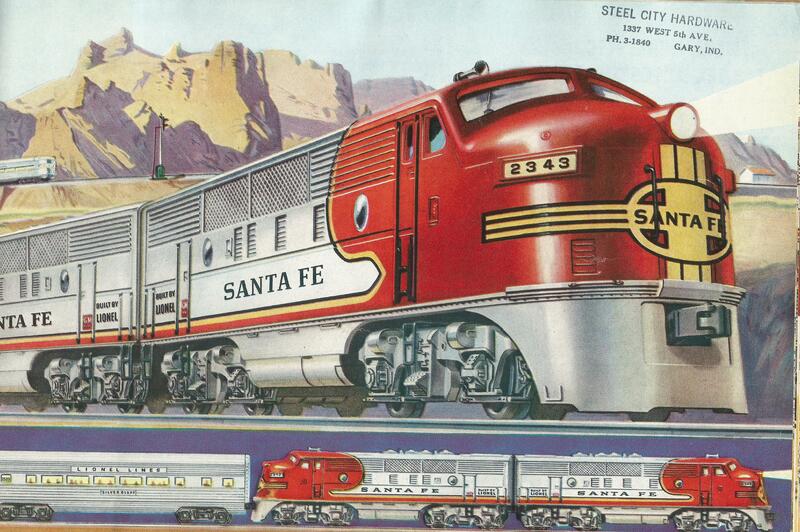 Page from Santa Fe Brochure of the Super Chief. The eastbound route departed Los Angeles daily at 8 p.m. and passed over Cajon Pass into Arizona and New Mexico before heading into Colorado, Kansas, Missouri, Iowa and finally Illinois. The trip took 39.5 hours. 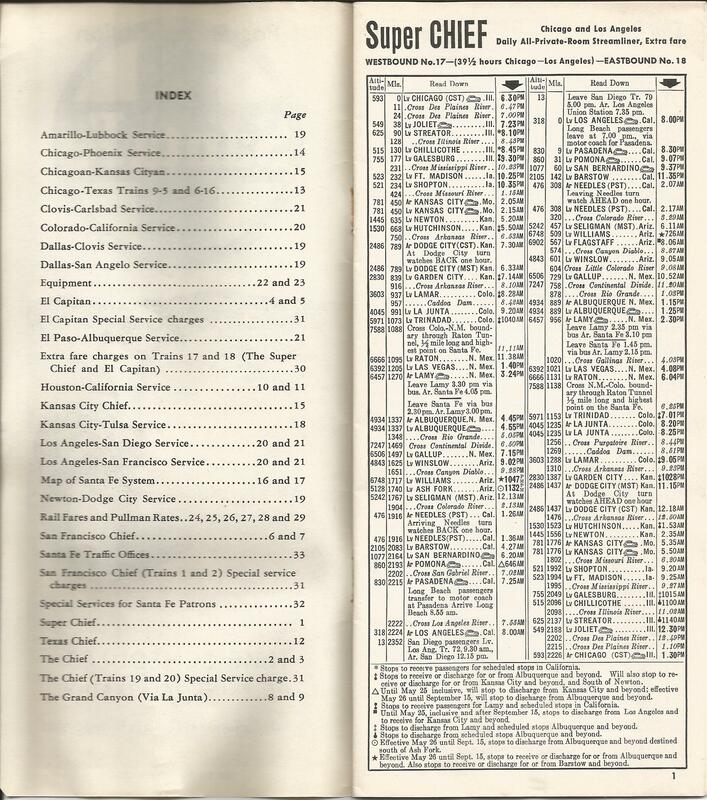 The scheduled provided for passage through New Mexico during the daylight, giving the passengers the opportunity to enjoy the landscape of the desert southwest. 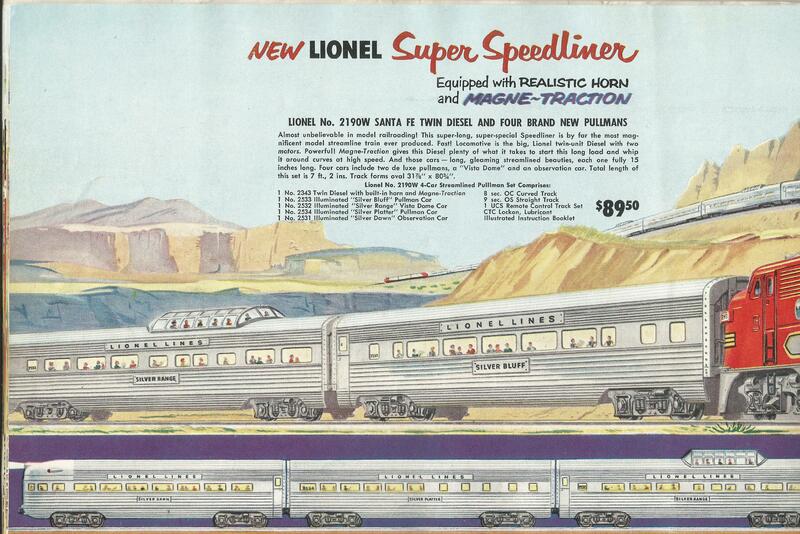 The Super Chief was an all-sleeping car service and included gourmet dining and a “Pleasure Dome” car. The diesels that pulled the Super Chief, that operated daily between Los Angeles, California and Chicago, Illinois, were the General Motors F-7. 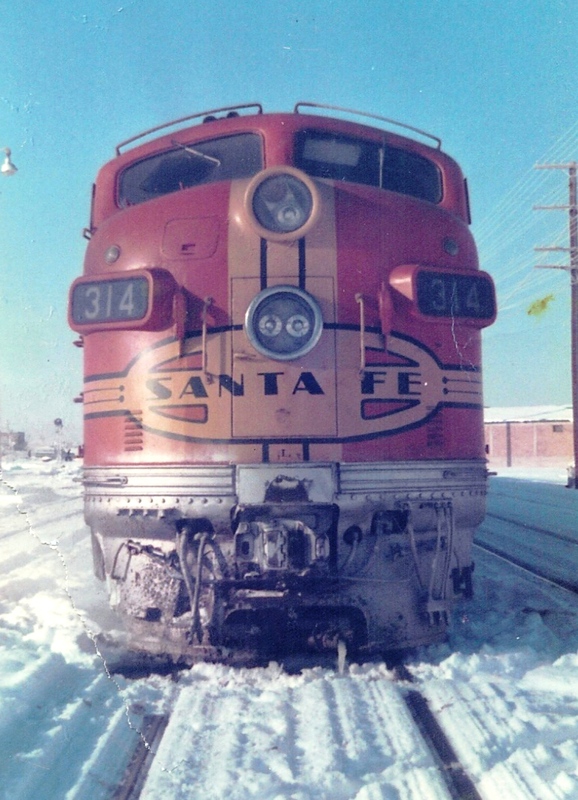 I took the below photos of these diesels at rest in Gallup, New Mexico in December, 1966. 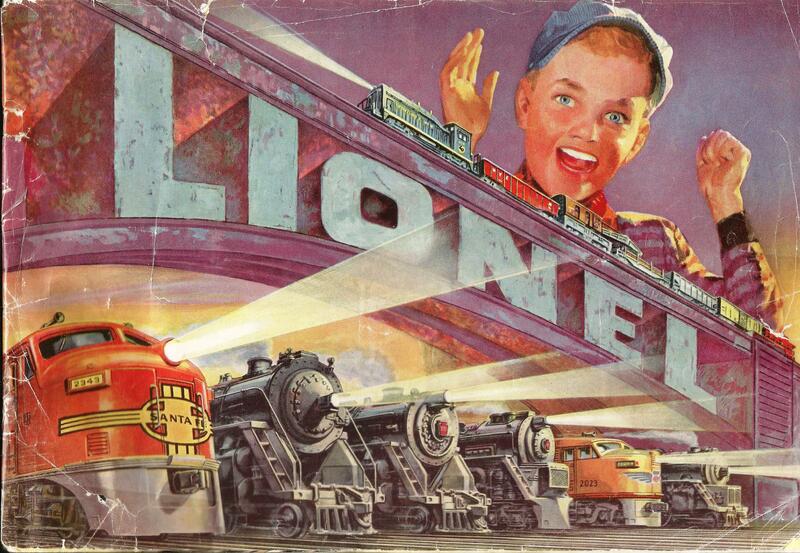 Lionel’s 1952 Catalog – the first year the engine was offered. 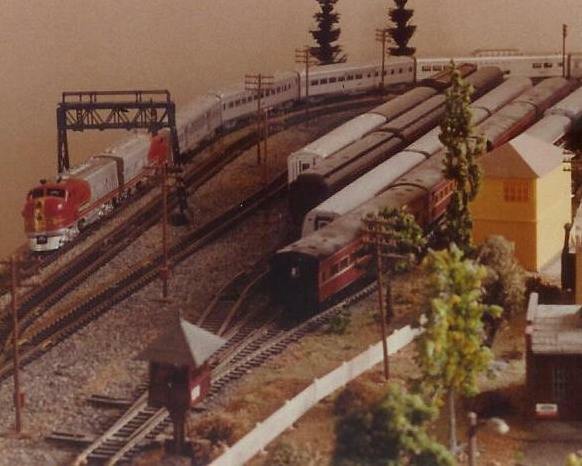 Pages from the Lionel 1952 catalog. 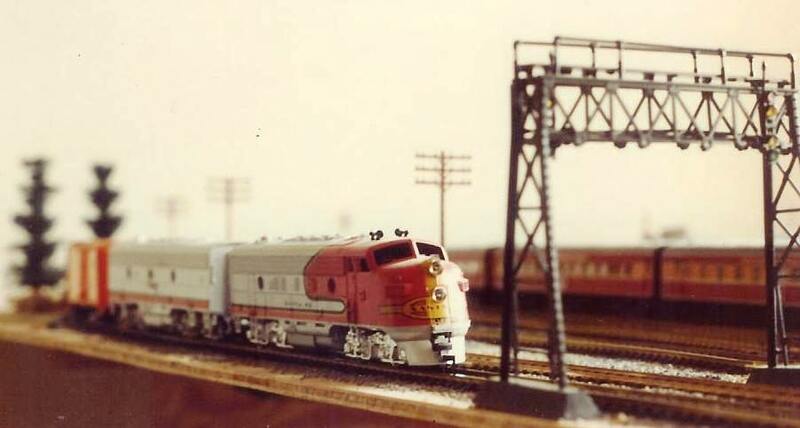 Today, scale models of Super Chief consists are available from KATO in N scale. Amtrak operates its “Southwest Chief” along the route of the Super Chief, replicating the same schedule and service using Superliner high-level chair cars, sleepers, a dining car and lounge car.